Paper is a key variable that has BIG impact on print production costs. Have you explored Hybrid or Blended papers? By combining freesheet and groundwood fiber, this innovative new category of publishing papers delivers value and quality. It gives publishers and printers new substrate options and bottom line savings. Historically, Freesheet (Wood-Free) papers are widely used because of strength, brightness and printability. They set industry standards for quality. At the economy end of the scale Groundwood (Mechanical) papers were the value alternative; however, the perception of low quality combined with a phenomenon called reversion or yellowing limits the use of this category of paper to short shelf-life applications such as newspapers and circulars. Quality perceptions and reversion prevented publishers from using Groundwood papers in the production of ultra-lightweight applications like reference books, bibles, catalogs, financial printing or pharmaceutical outserts. Changing market demands and manufacturing advancements opened the door for Hybrid or Blended Publishing Papers. 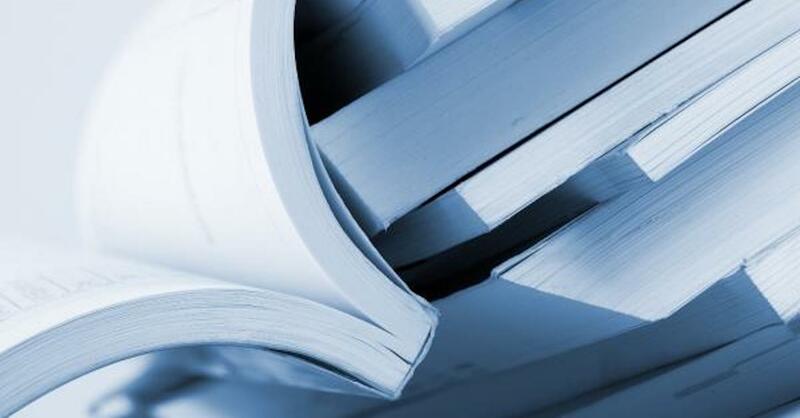 New bleaching methods combined with proprietary fiber formulations created a new category of lightweight Hybrid publishing paper engineered with innate stability to minimize the concerns about reversion or yellowing. Positioned as “bridging the gap” between traditional Freesheet and Groundwood, Hybrid options deliver choice plus savings without sacrifices in quality. Perceptions have changed about groundwood containing products, making Hybrid papers appropriate for a range of higher-quality, ultra-lightweight applications. This innovation has transformed the substrate landscape for publishing papers. I encourage you to explore the Hybrid option. Contact your paper manufacturer and talk about your objectives, budget and logistics. They can evaluate your publication to determine if you are a candidate. Additionally, they can also review your paper specifications, ensuring you are not buying unneeded paper characteristics in the areas of whiteness, brightness or opacity. If the potential volumes meet the minimums, a paper mill will typically provide a trial roll as an easy, risk-free way to test-drive a paper. This approach is a win-win for everyone, as it ensures you are using the right type of paper engineered with the right combination of specifications. Just remember, manufacturing has come a long way. Groundwood content with the right blend of Freesheet fiber can create a versatile publishing paper that can help you achieve your desired brand objectives. Written by Paul LaCroix, Market Manager at Twin Rivers Paper Company. For more information email or call Paul at 708-267-6569.